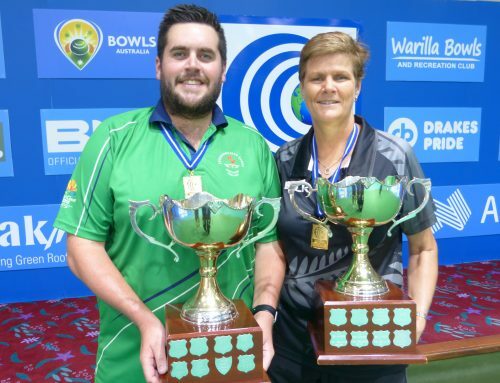 ARGUABLY the greatest bowls person of the modern era – champion international player, coach and manager, administrator, leader and visionary, Kerry Clark CNZM OBE, the recently retired chief executive of Bowls New Zealand, has been bestowed with further honours from his bejewelled career in bowls administration. At a special Commonwealth Games Federation meeting on the Gold Coast, the membership acknowledged the distinguished service of a number of Commonwealth Sports leaders. 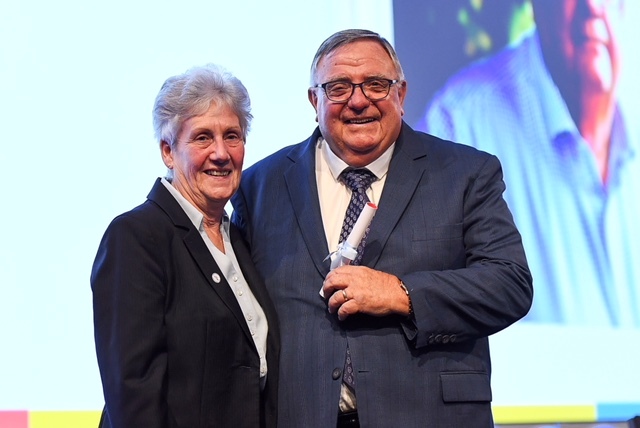 Along with such luminaries as long-serving Australian administrator Perry Crosswhite and Tanzanian Filbert Bayi, Kerry Clark was presented with a CGF Order of Merit by Federation president Louise Martin CBE. 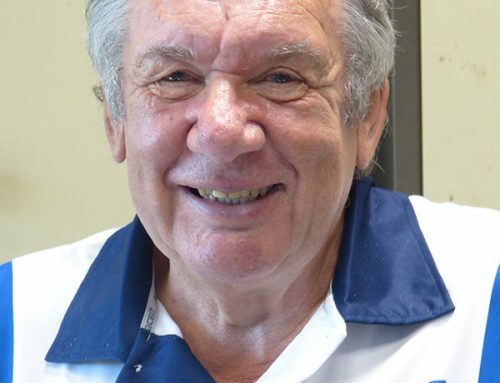 As a player Kerry competed at the highest level, winning a gold medal in the men’s fours at the 1974 Christchurch Commonwealth Games, while four years later at Edmonton, Canada, he finished fourth in the singles. He is steeped in bowls and since those successful days as a player, he carved an even more impressive career as a sports administrator on the world stage. 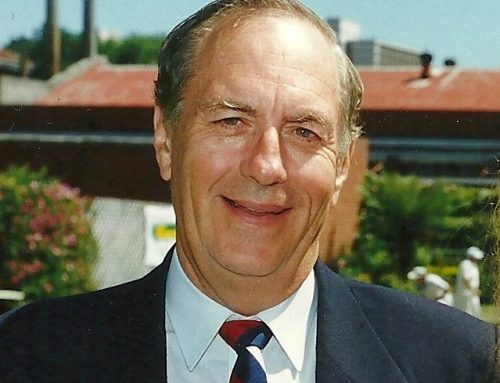 In 1989 he was acknowledged in the Queen’s Birthday Honours list, receiving an OBE for services to bowls, seven years before he took over the reins of the newly unified Bowls New Zealand. The doyen of sports administrators, he was president of the International Bowling Board (forerunner to the current World Bowls) from 1998 to 1990, and has held positions of wisdom, respect and trust at the highest level since the mid-1980’s. 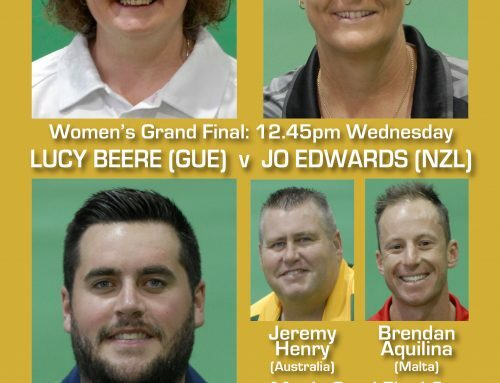 Kerry has been a technical delegate or advisor to no fewer than seven Commonwealth Games and eight other majors – a role he will undertake at the XXI Games on the Gold Coast this month. The CGF meeting – hosted by Commonwealth Games Australia at the Games Family Hotel, the Sheraton Grand Mirage Hotel on the Gold Coast – is the Annual General Meeting of the Federation’s 71 members and the highest authority of the Commonwealth Sports Movement. 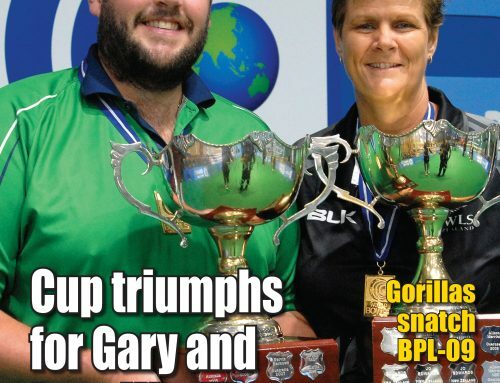 Photo: CGF president Louise Martin with legendary bowls administrator Kerry Clark.